Holy Cow…..nope, it’s a Texas Longhorn! If you haven’t ever seen a Longhorn up close, you can’t imagine how large they are. Some, of course, are bigger than others. I really enjoyed photographing this herd. I was given permission to crawl the fence because the owner was out of town. I was assured that they were very tame but warned not to get too close because they could whip their heads around to get at the flies and slice me by accident. When I got out there, none of them paid a bit attention to me until this one finally quit grazing long enough to come over. She just kept getting closer and closer until I started to get nervous. I made sure that I could reach the fence before she could get to me in case she decided I didn’t belong there. As it turns out, she was just extremely curious. You don’t get the sense of how large she is although I have seen others much larger. Each time I see them herd the Longhorns by horseback down the road at the Fort Worth Stockyards I am blown away at how huge the ones in that herd are. At over 1,000 lbs. this gal was big enough! There were 8 of them in this field with her and all but one took turns coming over to check me out. One got so close I thought I might have to bolt. Longhorns aren’t known for their great meat like Angus but people like to keep Longhorns just because they are so Texas. Within a 2 mile radius of our home, we have seen many rather surprising animals out in pastures including camels, zebras, zeedonks, buffalo, giraffe, alpacas, llamas, white deer and giraffes. There are both huge animals and tiny ones out running around. There are lots of mini horses and mini donkeys and, of course, plenty of standard horses and cattle surrounding us. The Longhorns are not nearly as exotic as some of the animals listed but dearly loved here in Texas. Can you imagine what it must have been like to take an entire herd from Texas clear up north back in the old days? Well, if you want to find out, you’ll have to rent the movie, Lonesome Dove. I can’t remember if they were Longhorns in the movie but it is easy to imagine. Keeping the horses safe in a cattle drive with those horns swinging around must have taken a lot of talent and very smart horses. 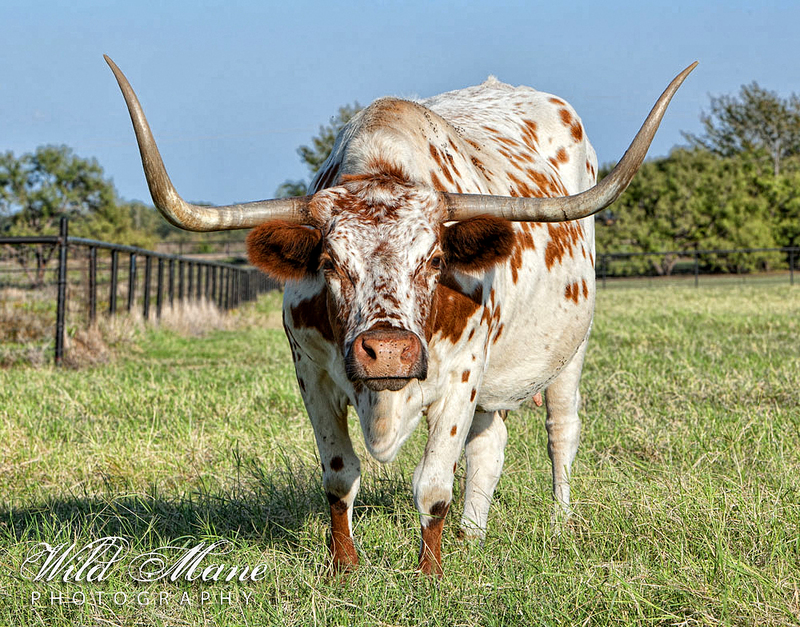 Author Gloria McDonaldPosted on October 19, 2012 Categories A Year in PhotographyTags Animals, Cows, Longhorns, photography, Texas, Wild Mane Photography1 Comment on Holy Cow…..nope, it’s a Texas Longhorn! This is one of the courthouses that are centerpieces for many town squares in Texas. This particular courthouse is in Denton. It is a beautiful old building with heavy wood doors, stone block construction and marble pillars at the head of the stairs for each entrance. It is built with entrances on all four sides and now houses an excellent museum in part of it. At night the trees have tiny white lights in them and the building is lit so it is a lovely place. People meet at the courthouse for things like the yearly Arts Festival, the Jazz Festival and political rallies including a much publicized Tea Party Rally four years ago. It isn’t unusual to be in Denton and find booths set up around the courthouse or even dance exhibitions. Young couples and families come to hang out on the lawn and others gather at restaurants or coffee houses in the buildings that surround the square. Outside tables are available in some areas so they can sit and drink coffee just looking at the courthouse. Each Texas courthouse is different from the others. As this year goes on, I will try to get to some of the other towns around here with great looking squares like this one. Who knows as I continue blogging, it may end up being a blog about Texas. Since I was born and raised in Idaho and then spent many years in California after I married, maybe as I search for photos I can share some of the cool things I’ve seen and learned about Texas. This state definitely has a personality all of its own. Holy Cow! This isn’t easy! I am really excited about this blog. Since I committed to taking at least a photo per day that is not from my regular photography work for clients I have been obsessing over what to shoot next. It is going to be a challenge but a good one. 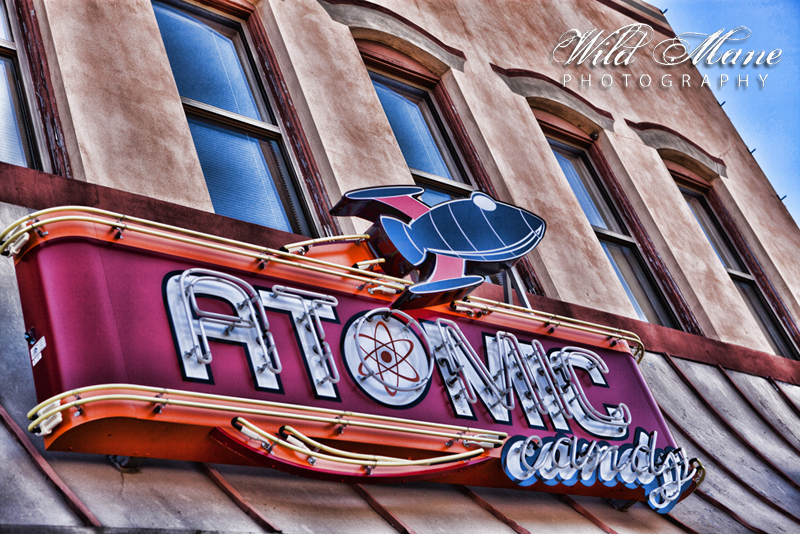 Today’s image is of a cool sign that I shot up in Denton, Texas on The Square. 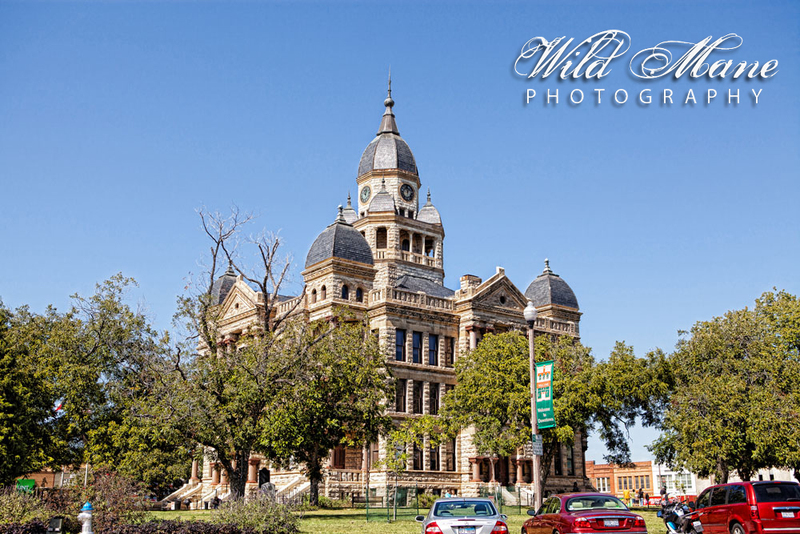 I intended to put in an image of the cool old courthouse since it is the centerpiece of The Square. But……….I spotted this cool sign and decided to forego the courthouse for today. Watch for it in a few days. Texas has a ton of little towns with wonderful squares. This is one of many not far from where I live. I’ve been tempted to start shooting old courthouses for a book. Considering I’m doing this blog, that isn’t going to happen any time soon! I grew up in Idaho and spent lots of time with relatives in Oregon. I lived on the coast in California, too. I had to move half way to the east to get the flavor of the old west. Isn’t that weird? Author Gloria McDonaldPosted on October 16, 2012 Categories A Year in Photography1 Comment on Holy Cow! This isn’t easy! HDR??? Sunset in Texas……………not so fast! Well, when I jump in the deep end, apparently I jump with both feet. 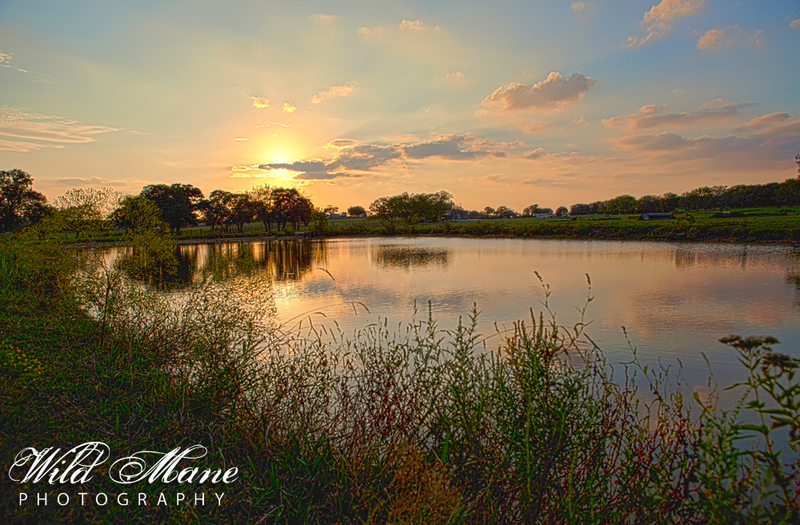 I have been wanting to try HDR (high dynamic range) photography for a while. I posted a gorgeous HDR image taken by Bay Area Photographer Todd Sipes on my Wild Mane Photos facebook page. That picture inspired me to try creating an HDR image myself for the first time. I didn’t have my tripod so that was a problem. Each shot has to be of the same shot so a tripod would have been a great help. Holding my breath while I shot 5 images at different exposures had to do. The 5 versions ranged from under exposed to exposed to over exposed. The idea is to have a depth in each tone in a wider color range that you can’t get with one perfectly exposed image. Well, I ended up with something but not what I expected. My originals were different shades of dark and moody. This image is the final product with all 5 images layered. I wasn’t sure that I liked it much until my husband saw it on my monitor and loved it. So………….I guess I’ll try some more of them and explore the possibilities. The process is quite interesting…………..and surprising. I expected the final image to come out dark and moody but as you can see, the final image doesn’t look like it’s almost dark at all. I want to do more now! One of the coolest things about this “photo every day” is that it is making me really have to think about what to do. Living in the country should provide me with lots of material. This image is of the stock tank on the other side of one of my pastures. Tonight, I saw a white buck, a white doe and a brown fawn in the pasture across my road. Did I have my camera………………….no! Oh well, this one you will have to just picture in your mind. Bambi and his parents weren’t the least bit bothered by my gawking at them. Until tomorrow, feel free to send me photo op ideas! 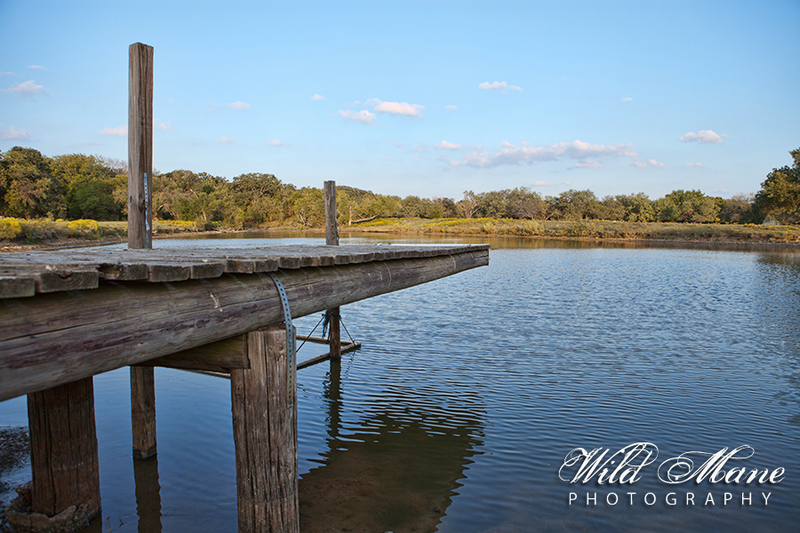 Author Gloria McDonaldPosted on October 14, 2012 Categories UncategorizedLeave a comment on HDR??? Sunset in Texas……………not so fast! Today is October 13, 2012. I am starting this new blog today and turning my back on the old one. I have frankly struggled with the old one because I couldn’t find a real reason to blog. I shared photographs and occasional news flashes about some of my client’s accomplishments. But the blogs that I like are the ones that let me see who the writers are along with their interests, joys, struggles, mistakes and accomplishments. This blog is a personal journey for me. The photographs will tell a story of life captured, ideas created and lots of experimentation along the way. The experimentations may not work but I promise to share that, too. I vow to take at least one photograph each day for the next year that is unrelated to my regular portrait sessions. These images will allow me to spread my wings and learn new things along the way. The great adventure begins today as I “jump into the deep end” with great hopes that 365 days from now I will have grown both as a photographer and a person. My biggest fear is finding out that I can no longer take photographs for myself but only for my clients. So……here goes, I’m officially jumping in. More tomorrow…….